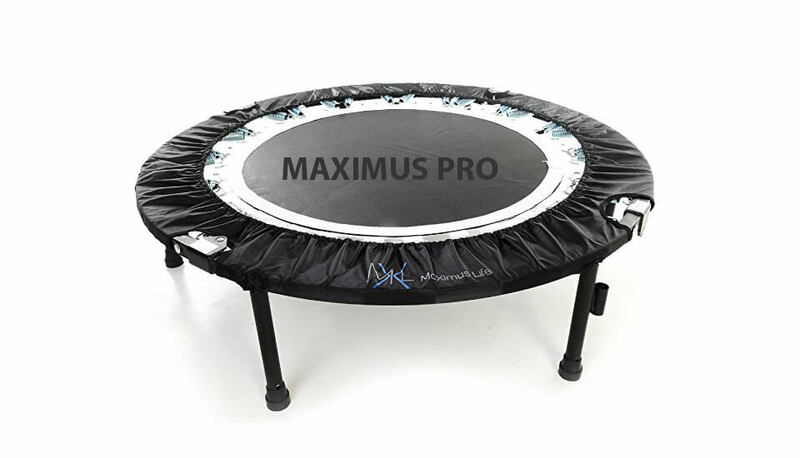 12 ft. JumpSport “PowerBounce” trampoline is truly a perfect “performance” trampoline for people who went only the best for their children. 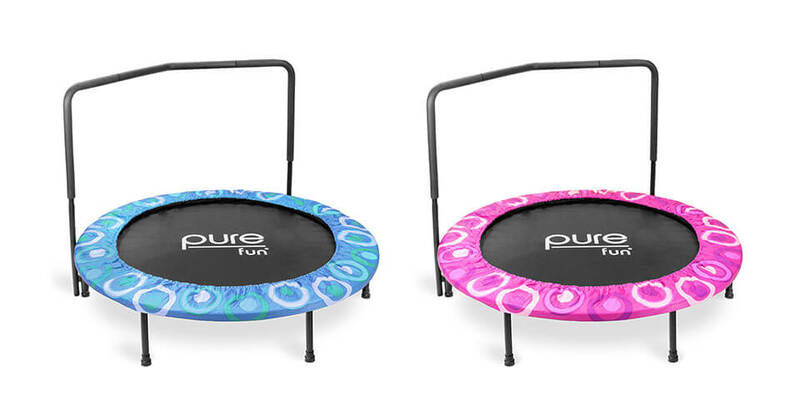 Combing several innovative technologies found in SoftBounce & StagedBounce models of trampolines, “PowerBounce” offers some truly exceptional specifications. 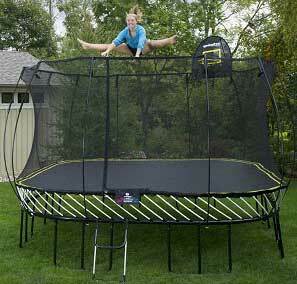 If you think 12 ft is not enough, no worries as 14 ft. model of PowerBounce trampoline is also available. 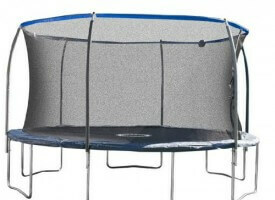 And if you really need for semi-gymnast`s you can always choose rectangle shaped model of PowerBounce trampoline. 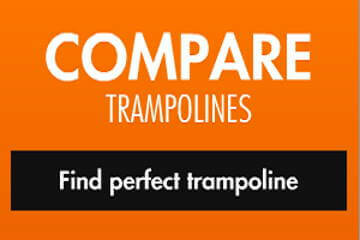 All JumpSport powerBounce models have the same features as StagedBounce trampolines but with few extra advantages. 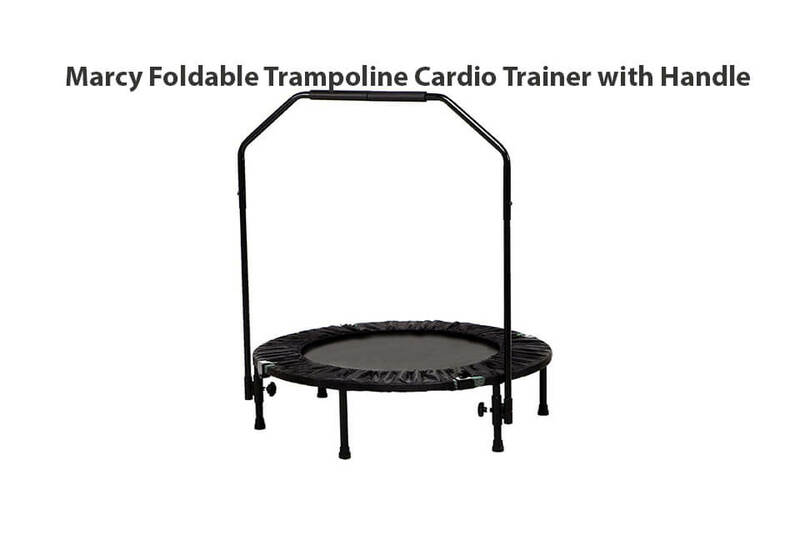 The PowerBounce trampolines all come with adjustable PowerBounce Assemblies, allowing a wide range of performance customization options using the included “PowerArms” (improves bounce performance), “PowerHooks”, and “PowerSprings” (additional springs). 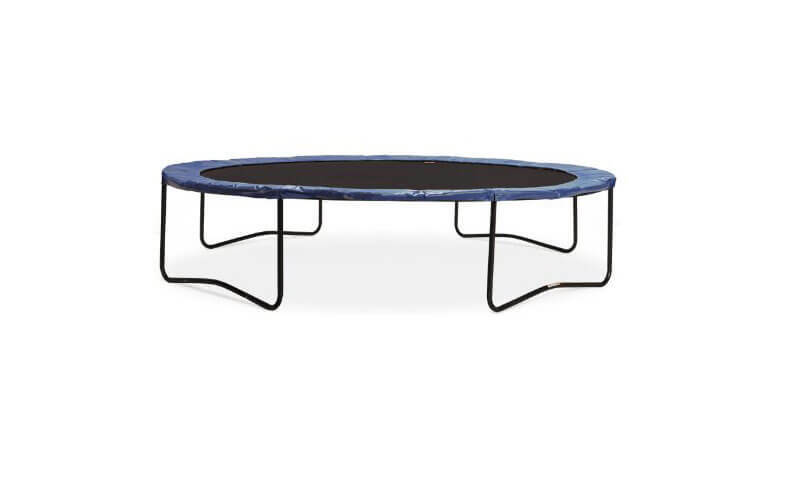 Frame: is 1.8-inches in diameter, heavy-duty „Cold Rolled Steel“, powder coated with a jet black finish. Wall thickness of the frame is 1.5mm! 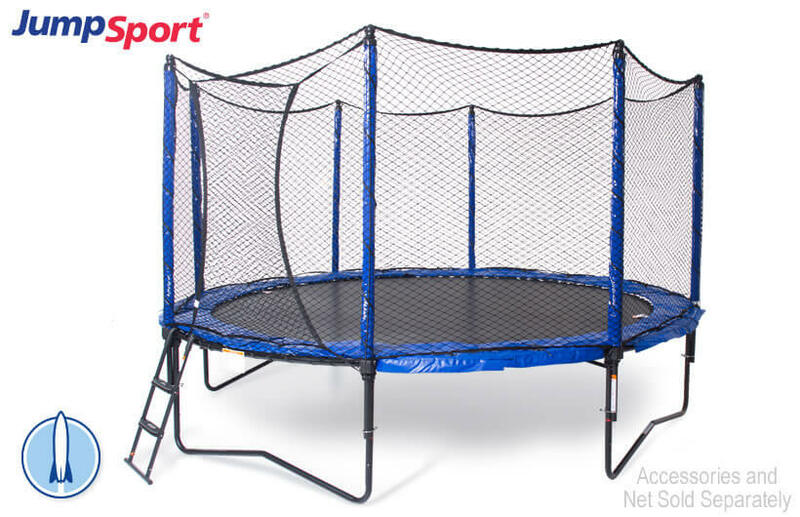 Springs: Made from steel, 80 pieces of primary springs + 20 “PowerSprings”, total of 100 pieces of 8,5-inch springs. 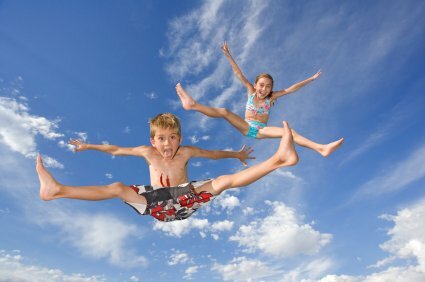 Mat: One of the best mats on the market with 10 rows o stitching, guaranteeing longevity. Proper care advised. 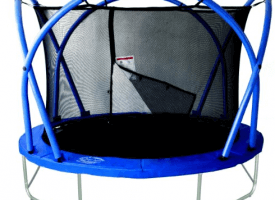 Enclosure: Enclosure is on all PowerBounce models sold separately, offering you a choice of several different enclosure models – JumpSport Model 180, 280, 380 and 480. 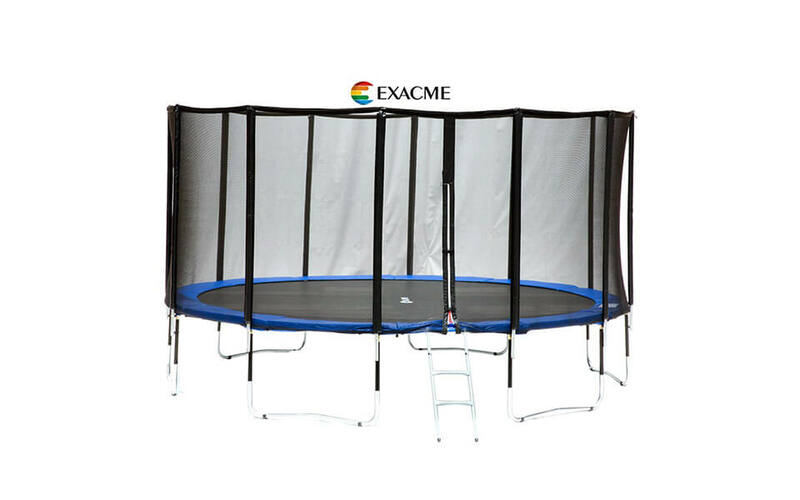 The main difference is support pole diameter and weight limit of jumper. 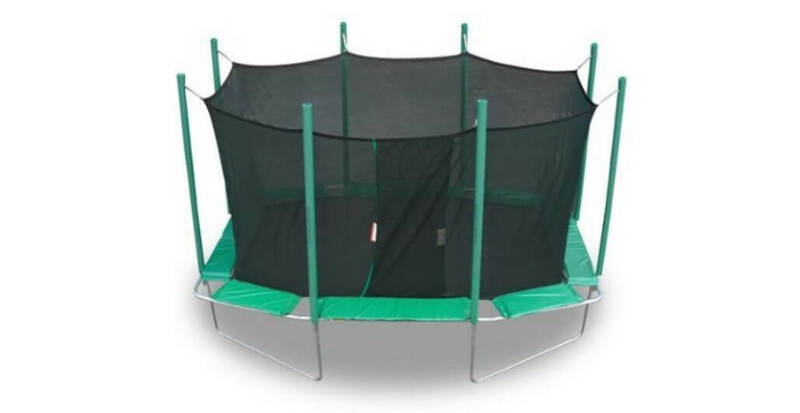 Poles: Standard padded steel poles which come when enclosure is bought, specs are different and depends on enclosure model. Assembly is easy enough as manual will provide great insights on order things should be done. 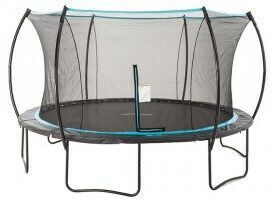 It can be assembled in 2.5 hrs with 2 people. Assembly manual can be downloaded here. 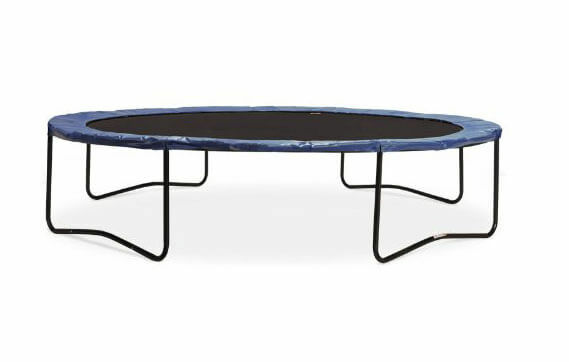 If you need only best for your children then this is the trampoline to choose! 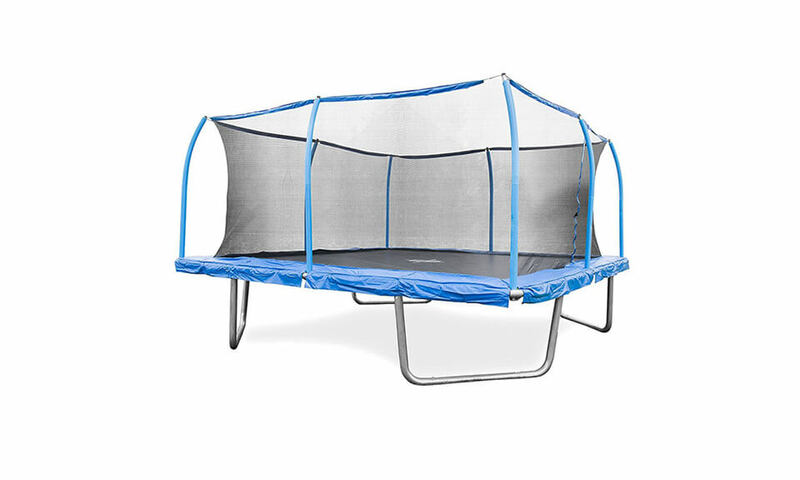 Full of innovative features combined with fantastic quality and bounce height, JumpSport 12 ft. PowerBounce will definitely stay #1 for years to come.